When you work for John Crane, you work for a true innovator in the world of energy services. Our engineered solutions drive reliability and uptime so our customers can meet the world’s global demand for energy. If you’re eager to tackle the exciting, mission-critical challenges of serving the world's largest energy services providers, you'll fit right in. Are you a U.S. student graduating with a bachelor degree in mechanical engineering? You may be eligible to join John Crane’s workforce as part of our engineering development program. engineeringU is a 12-month accelerated development program that offers select applicants the opportunity to learn and work alongside John Crane engineers, while gaining hands-on experience and post-program career placement in critical roles across John Crane. Placement is based on your aptitude, preferences, and company needs. Smiths Group, a global technology business listed on the London Stock Exchange (SMIN), is a world leader in the practical application of advanced technology. As the largest division of Smiths Group, John Crane enjoys the robust support necessary to continually develop new solutions that meet its customers’ current and future needs. Our collaborative, forward-thinking team includes some of the brightest minds in manufacturing engineering, supported by teams in sales and customer service. With more than 200 offices globally, we’re industry leaders with a long tradition of innovation and a proud commitment to employee growth. We offer a competitive salary and benefits package, and we reward hard work and creativity — giving you an exceptional opportunity to advance your career. John Crane is headquartered in Chicago, Illinois, and is an equal-opportunity employer. 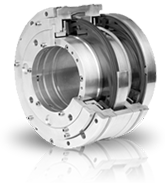 Of the 200+ advanced sealing solutions we've patented, our dry-running gas seal is one of the most revolutionary. It incorporates our spiral-groove technology — a concept based on the principles of fluid mechanics — to create a non-contacting seal that eliminates seal face wear and emissions. We're proud of it, but we don’t rest on our laurels. Over the past four decades, we've continued to improve its design to meet the industry's changing needs.